Lisa Gee is Director of The Harley Gallery and Foundation, an educational charity situated on the ducal estate of Welbeck Abbey in North Nottinghamshire. Established in 1977 by the Duchess of Portland, “to encourage creativity in all of us”, the Foundation comprises The Portland Collection, The Harley Gallery and The Harley Foundation Studios. The gallery programme features a wide variety of contemporary and historical art and craft, with exhibitions changing five times a year, the Craft Shop stocks work by over 300 makers. The Studios provide affordable workspace for fine and applied artists and makers, and include an incubator space for new artists, assisting them financially and in setting up their practice. Lisa worked in arts development and museums administration before taking up her role at The Harley Gallery and Foundation. How did you come to curating? After University I worked for the Arts Council’s regional offices in the North West and the West Midlands. I then moved to London where I joined the South Bank Centre and worked on their Foyer Exhibitions and Craft Programme. And that was really the start of it all. I studied for an MA in Museums and Gallery Administration at City University and then moved to Islington Museum Service and the Islington International Festival. I became Director of the Harley Foundation in 1999 and have been here ever since. What’s happening behind the scenes at the moment at your venue? We are working on new displays for the Portland Collection museum gallery and about to open two new exhibitions at the Harley Gallery. Who are the artists and partners that you’re working with at the moment? The Goldsmiths Company and Ruthin Craft Centre are two partners we are working with on an idea for a touring exhibition to celebrate contemporary women silversmiths. And we have recently started working with Slave Creative, a creative agency in Nottingham, to develop a visual branding strategy for the Harley’s 25th anniversary in July and the Portland Collection re-launch. They are incredibly experienced and it’s been a real pleasure to work with them and see how they respond to our briefs. We found out about them from some freelance marketing experts Sarah McCann and Natalie Walsh. It makes you realise how important it is to speak to colleagues and others in the sector. Art Fund has given us a grant to develop a series of gallery talks for 2019, bringing together artists, curators, designers and writers. We’ve not worked with Art Fund before and it will be interesting to see whether we attract new audiences to Harley as a result of the partnership. 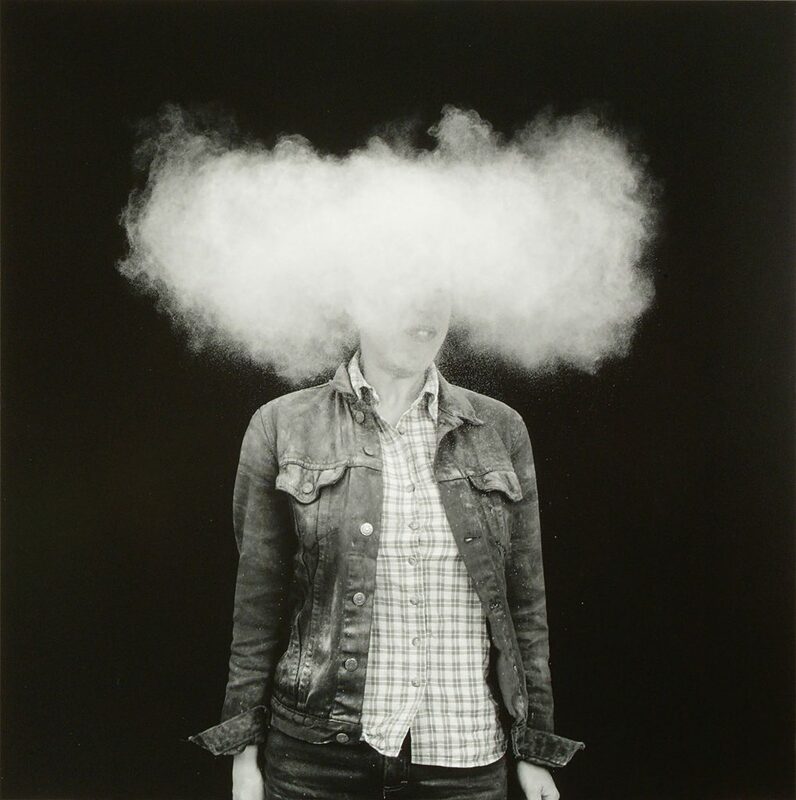 Tell us about your current exhibition or upcoming exhibition or project. 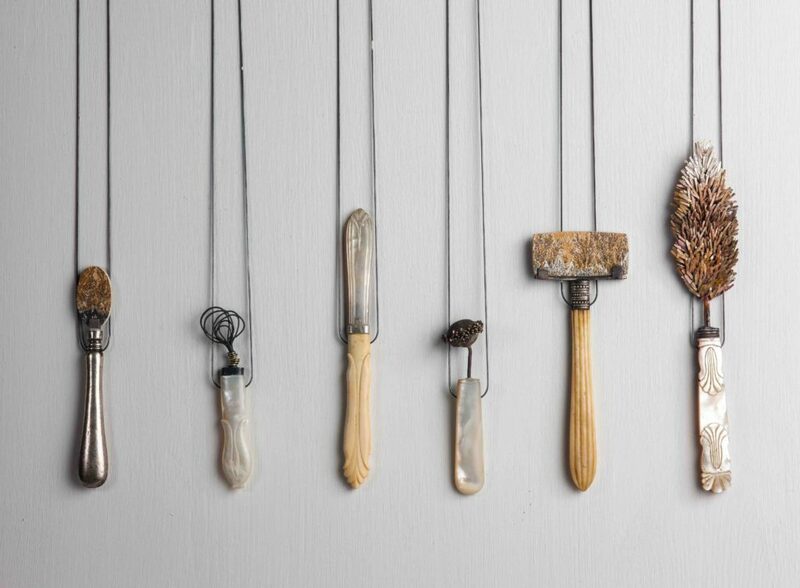 Loss, Rediscovery and Rearrangement (6th April – 16th June 2019) is an exhibition from the jeweller Romilly Saumarez Smith who was shortlisted for the BBC Woman’s Hour Craft Prize in 2017 and reCollecting (6th April – 23rd June 2019) an exhibition by Sylvie Franquet who re-works found needlepoints. Both artists are self-taught in their chosen medium; Romilly trained as a bookbinder and Sylvie is a Middle East scholar and academic. We are constantly looking for artists which we think suit our audience, our mission and our interests. Sometimes they are people we know, other times it’s through recommendations from colleagues, or media coverage, or exhibitions we’ve seen. It’s quite an organic process and difficult to describe. For example, I have wanted to work with Romilly since I first saw her book binding in the 1980s! Sylvie’s work was an unexpected pleasure that I found when I was in London a couple of years ago, walking past the October Gallery where she was exhibiting at the time. Definitely Romilly and Sylvie’s exhibitions which open this weekend and run until June. If you enjoyed the Linder exhibition at Nottingham Contemporary last year, Sylvie’s work is absolutely not to be missed! July sees us opening In My Shoes, an Arts Council exhibition about self-portraiture from the 1990s and then from October we’ve got three automata exhibitions which are going to be really good fun. One of the exhibitors is Martin Smith, who regularly sells in Paul Smith’s London shops and who I have worked with since my time at the South Bank Centre. I love the off-beat humour he brings to all his work, his party-popper table is not to be missed! 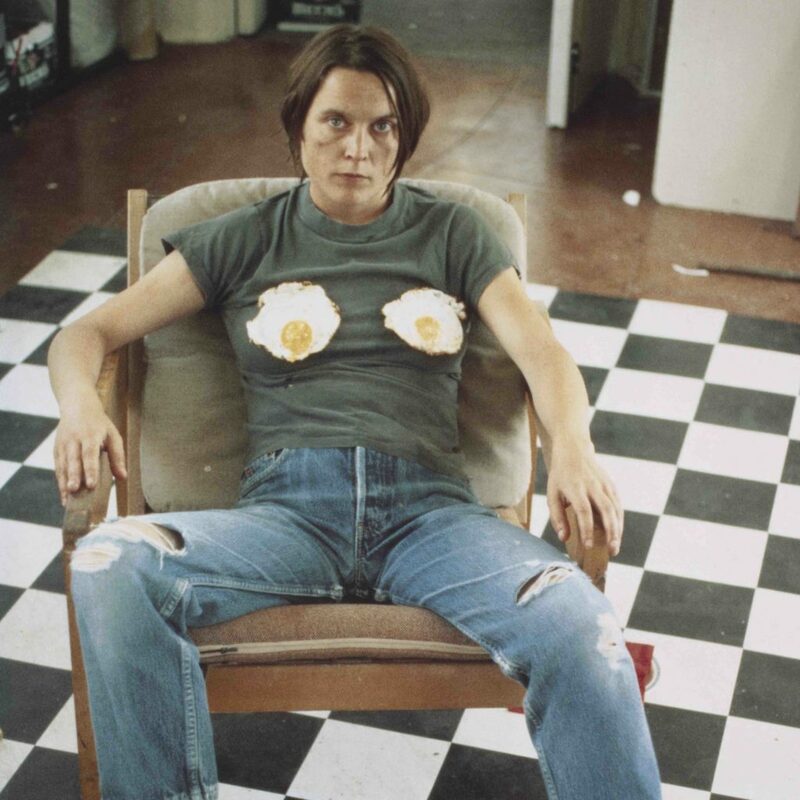 Self portrait by Sarah Lucas from Arts Council Touring Exhibition In My Shoes. What or who are you really excited about? Probably the Phlegm installation in Sheffield. I’m going to have to get ready for some serious queuing but I love visiting large-scale arts installations in unexpected locations. Whose work or what space would you most like to curate? A project around exhibiting and collections in an old school museum space, maybe the Pitt Rivers Museum in Oxford or the Natural History Museum in Dublin. Something about those heavy wood and glass showcases crammed with different specimens and objects from different cultures and centuries lends itself to new displays and possible connections. 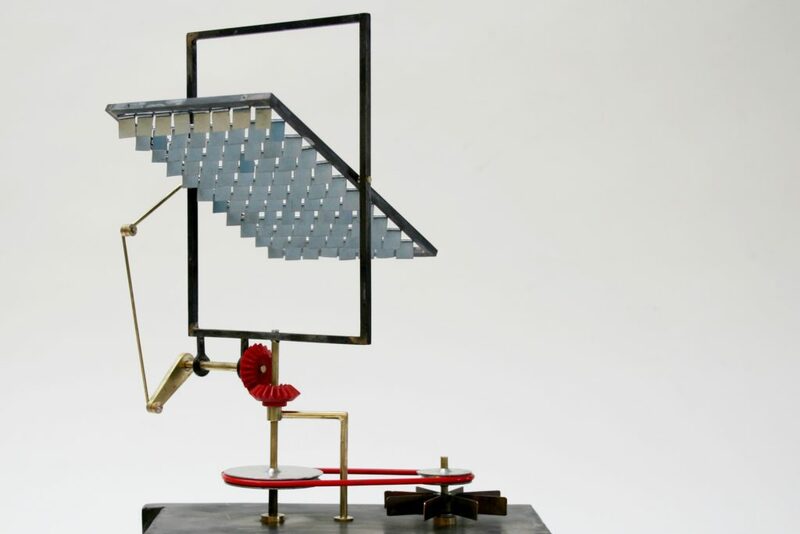 Automata by Martin Smith for Little Machines exhibition, part of Moving Machines, Oct–Dec 2019. Oh goodness, just more I think. With the squeeze on public arts funding, it’s getting more and more difficult for venues to put on new displays and exhibitions. The more the better! Lisa was interviewed in April 2019. All the images are courtesy of The Harley Gallery.